It's certainly beginning to look and feel a lot like Christmas around our way these last couple of days. I purposely held off on anything really Christmas related until December 1st because I've felt the last few years have been spent talking about it and planning it for way longer than needs be. It means the excitement is building nicely now for the next few weeks until the big day. I also wanted to make sure gifts were given some more thought this year as well as keeping up and creating new traditions and getting out and about more to take in as much of the festive spirit as we can. This is Luke's first year really getting excited about Santa so we were all about writing the Santa letter and wondering will he write back. Luke had a sore finger so I had to write it for him but he did stick on loads of stickers and we posted it at the very special North Pole post in Market Green shopping centre. Of course Santa wrote back and along with a lovely detailed letter, even the dog got a mention, also included was a certificate for Luke to say he was on the Nice List. This was one of the best Santa letters we have received. 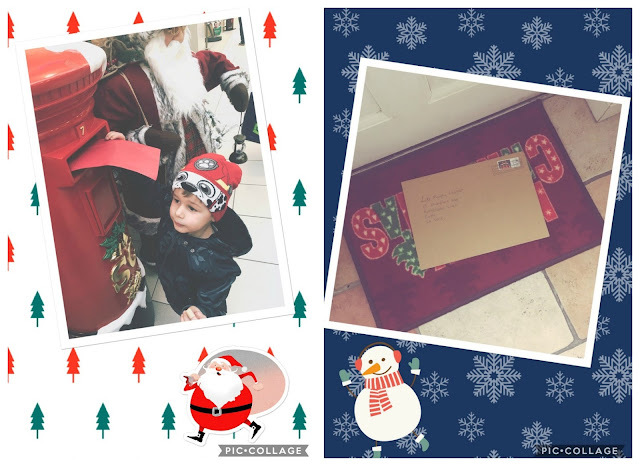 This was sent to us from Joanne over at Personalised Santa Letters & Certs. * I sent her some details about Luke, favourite tv show, things he likes etc and she incorporated that into the letter. He was very impressed the dog got a mention! It arrived pretty fast so definitely check out the Facebook page for further info if anybody is still looking for a Santa letter. Our lovely new Christmas plaque arrived in the post just in time for our decorating to begin and I love it. 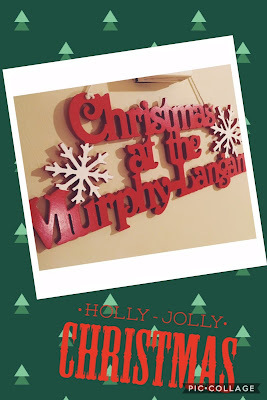 It's something we are going to take out year after year and it will greet everyone in the hall way as they come in to share a little bit of Christmas at the Murphy Langan's. I ordered this from Kellie of The Plaque Company. I think she might be finished taking orders for this year but check out her page anyway and be ready for next year. On Sunday just gone we visited the local Craft Fair in the community centre in Cobh. I'd heard loads about it form previous years but never managed to get up there. I was so impressed with what was on offer. 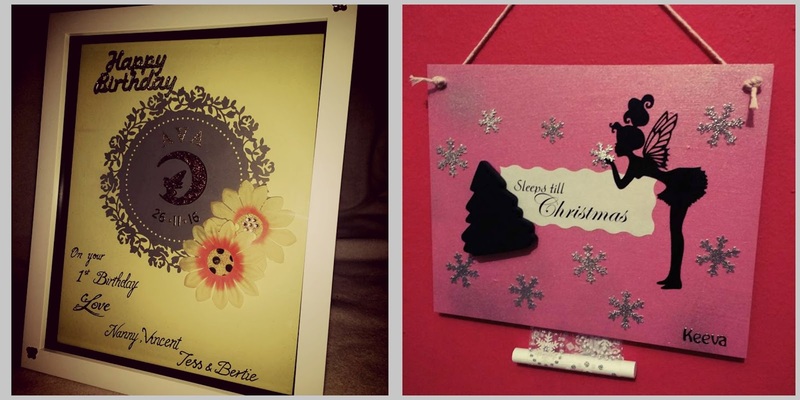 Beautiful handcrafted gifts, personalised items, photography of the local area and books. I picked up 2 childrens books for Luke, all Irish written and produced and the author Mike O'Donovan was more than happy to have a chat with us and sign them for Luke. I picked up a lovely Christmas candle that was a perfect fit for the new lantern in our hallway. 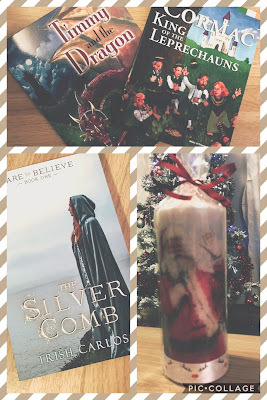 I also bought myself a copy of a book "The Silver Comb" by local author Trish Carlos so looking forward to getting stuck into that over the holidays. Keeping with the personalised theme I ordered a present of a personalised frame off the very lovely Emma of Let's Get Personal. Emma is an old school friend of mine and has recently begun her personalised frame / plaque business and they are nothing short of fabulous! I gave her a brief outline of how I wanted it to look and she came back super fast with the finished product and I love it. I can't show you a picture of my frame yet because there'll probably be some prying eyes on this post who's not supposed to see it just yet but you can see a sample of her work above or go to her Facebook page for more information. There's nothing nicer than a personalised gift. 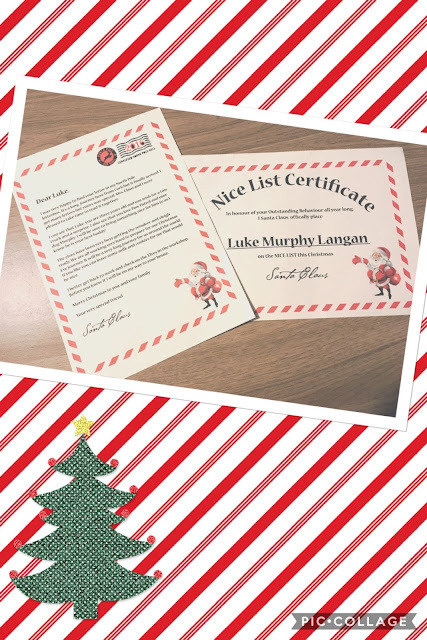 So far our Christmas season is shaping up to be a good one, we have lots more planned for the month and I'm really enjoying seeing Luke really get into the magic of Christmas because that's what it's all about isn't it? !